SKU: SKU 176. 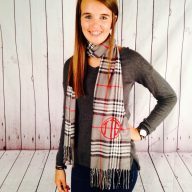 Categories: Carolina Monogram, T-Shirts, T-shirts. With a Monogrammed Football tee, we will not have to play Power Puff anymore! We will be ready for the big leagues and the big bucks! Plus, we will look amazing and make a fashion statement while we strut our stuff on that gridiron field! Okay, Okay, okay……if you prefer to cheer for your favorite team in the stands – this is also the perfect shirt! 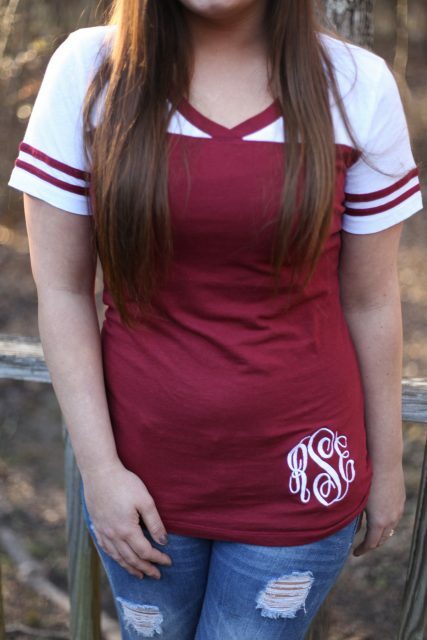 You can be the number one fan in the stands AND be wearing the most fabulous monogrammed football tee! 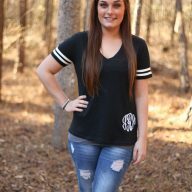 This monogrammed football tee’s makes an outstanding gift for any occasion. Auburn fan? 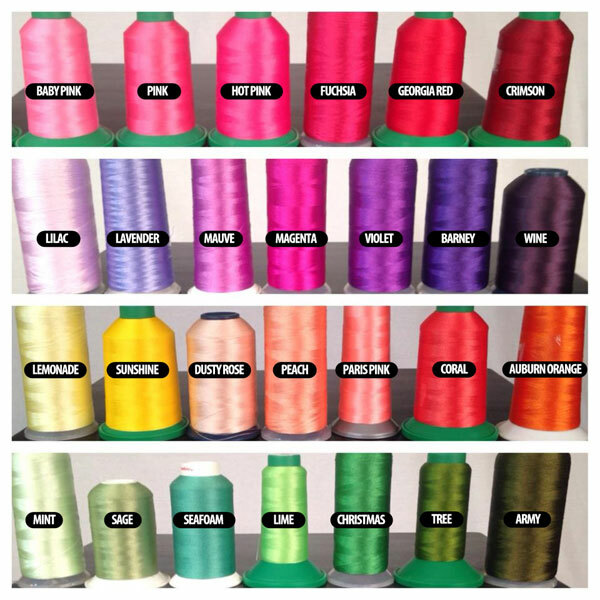 Add some orange thread. Alabama girl? Choose the crimson shirt and add some grey or black thread. Are you for another team? 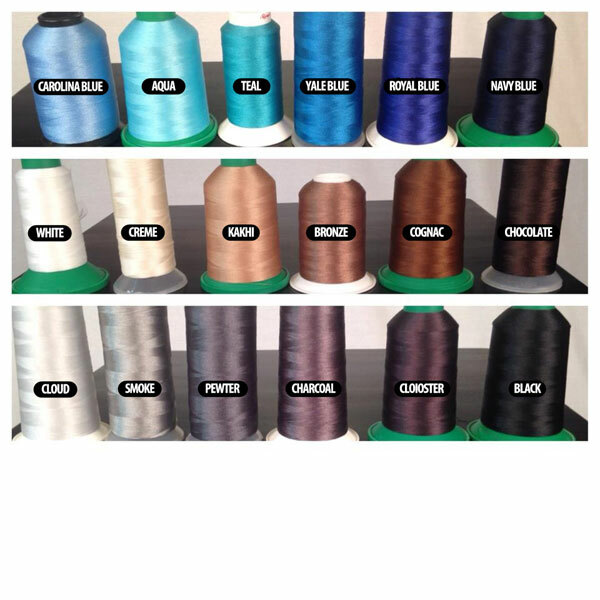 There are tons of color scheme options to choose and we can do literally any color of thread. 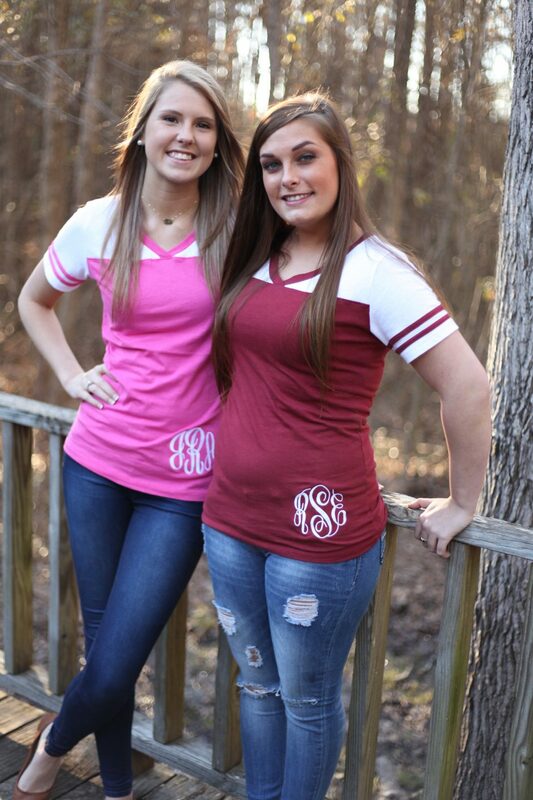 These monogrammed shirts are women’s sizes and are fitted – so they are designed to fit a bit on the snug side. The model is wearing a size medium and is generally a dress size S. They are available in XS – XXL. The colors available are black/white, navy/white, pink/white, red/white, crimson/white, hunter green/white, lime green/white, royal blue/white. For all shirts, white is the accenting color and the darker color is the body color. The item is constructed of 100% ringspun combed cotton. 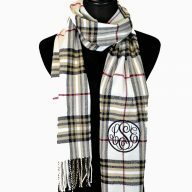 As we always recommend you treat your monograms as a delicate, it is our suggestion to hand wash in cold water and lay flat to dry. Use a cool iron if needed. Do not use bleach with this product. 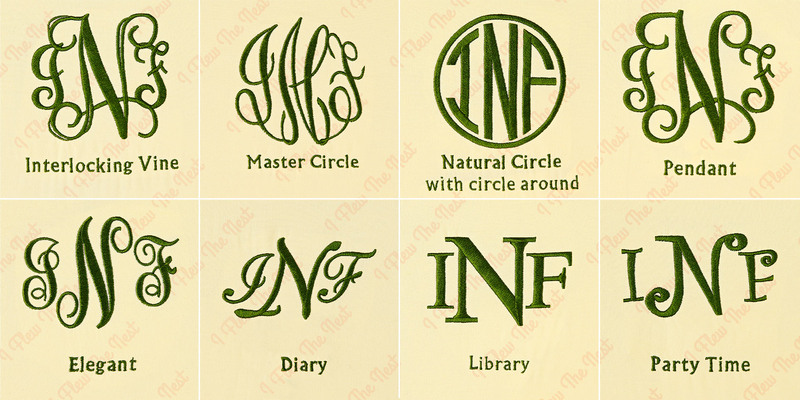 The better care you take of your monograms, the longer they will look fabulous!